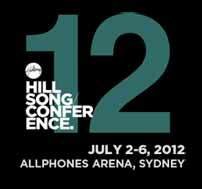 The 2012 Hillsong Conference kicks off on Monday, 2 July in Sydney, Australia. What is the Hillsong Conference and what do they strive to accomplish? This is the 26th such conference, and most of the scheduled speakers from outside of the Hillsong family are not strangers to the event. Headlining this year are Joyce Meyer, Joseph Prince, Steven Furtick and Louie Giglio. Three of these names have appeared at past Hillsong Conferences. 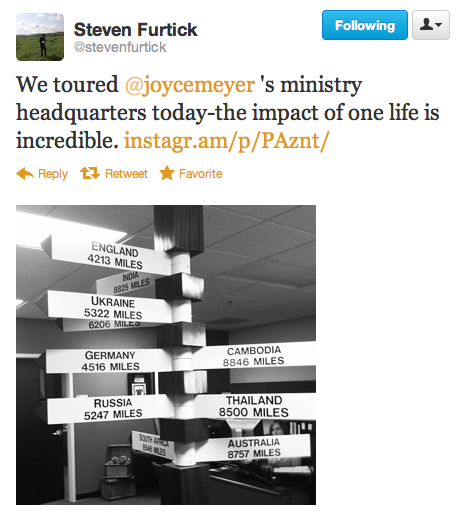 Only Steven Furtick is new to the event in Sydney, although he has preached at Hillsong in New York City. These names, especially Meyer and Prince, are synonymous with the Word Faith heresy. Both were speakers at the 2008 Hillsong Conference and both are quite adept at propagating heretical Word Faith doctrines. Below, Joyce Meyer can be heard mishandling Psalm 82 and teaching the common WF doctrine that we are “little gods”. 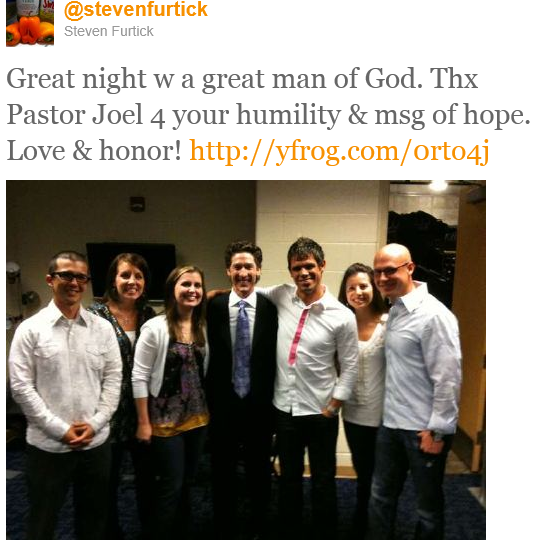 Over time, Steven Furtick also has demonstrated that he is easily and perhaps eagerly wriggling his way into the WF camp. At Apprising Ministries, Ken Silva has demonstrated in pieces like Steven Furtick and “Prophet” Brian Carn that Furtick is seeking to bring the Word Faith heresy into the mainstream. Interestingly, Joel and Victoria Osteen were special guests at the 2009 Hillsong Conference along with Jentezen Franklin, Craig Groeschel and 2012 returning speaker Louie Giglio. So we know, then, that Louie Giglio is not unfamiliar with the Osteens. Not only did he appear with them at Hillsong 2009, but as recently as 27 May 2012, Giglio was preaching at Osteen’s Lakewood Church. It is the opinion of this writer that it seems a bit presumptuous to seek for outside revelation when God has graciously, clearly, and perfectly spoken in His Word. We have no need to listen for His voice outside of Scripture. He has not stuttered. He has not stammered. He has not whispered. To hear from God Almighty, all one must do is open the Bible and read. Yet Giglio and the others on stage that day appeared to advocate listening for the voice of God in the silence. Of course, according to the description above, the Hillsong Conference does profess to be about “hearing from God,” so perhaps it ought not surprise that Giglio seems to be a frequent speaker at this event. 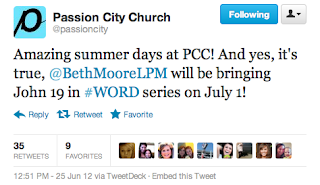 Beyond the “revelation” described above, Apprising Ministries also has documented that Beth Moore claims that God gave her a vision of the church “as Jesus sees it,” and that this divinely revealed church includes the apostate Roman Catholic Church. 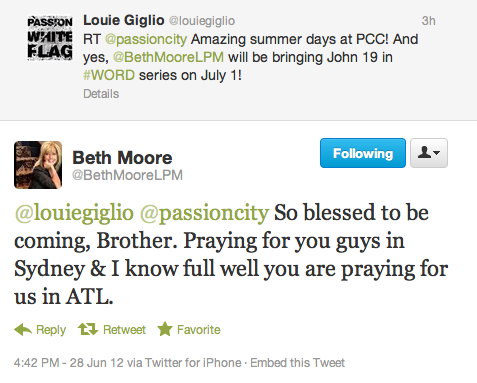 It seems that popular pastor Louie Giglio is not bothered by such teaching, however, as he apparently has invited Beth Moore to fill his pulpit at Passion City Church on Sunday, 1 July, while he travels to Australia for the 2012 Hillsong Conference. 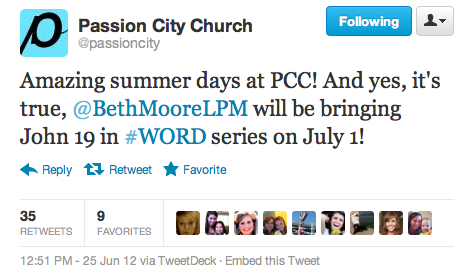 Thus far there has been no indication that Sunday’s services will be for women only. It seems, then, that Giglio has invited a woman into his pulpit to preach and teach a mixed audience, in spite of the admonition of 1 Timothy 2:12. Perhaps if Louie Giglio were appearing for the first time at the Hillsong Conference, he could be given a pass for being unaware of the environment that he is walking into. As has been demonstrated, however, he is not a stranger to these events. He has also quite recently placed himself in the pulpit of Joel Osteen’s Lakewood Church, one of the largest temples of the Word Faith heresy. Further, he has invited a woman to fill his own pulpit. Yet over the years, Giglio has generally been held in high regard. One wonders how this might be in light of the evidence before us. Biblical Silence vs. Mystical Silence and What Really Went on at Passion 2012?